Microscopic image of a sample taken from the woman’s brain, with arrows indicating the amoebas. A 68-year-old Seattle woman who died after contracting a rare brain-eating amoeba used regular tap water to rinse her sinuses, according to new research. As noted in a new International Journal of Infectious Diseases case study, the infection was initially misdiagnosed as a brain tumor. During surgery to remove the suspected tumor, the lead neurosurgeon, Charles Cobbs from Seattle’s Swedish Medical Center, was taken aback by the extent of the brain damage. So he extracted a sample for further testing. 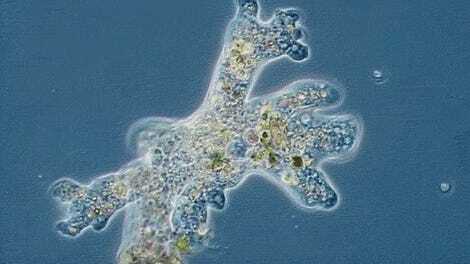 These amoebas traditionally live in the warm climates of South and Central America, but climate change may be opening up new habitats—including in northern U.S. states like Washington. B. mandrillaris was first detected in 1986 in a mandrill monkey kept at San Diego Zoo. It was declared a distinct species in 1993, according to the report. Globally, only 200 infections have ever been recorded, of which 70 occurred in the United States. Alarmingly, the fatality rate is practically 100 percent. For this poor woman, who died from the brain infection this past February, the condition had first manifested as a skin rash on her nose. Not suspecting anything particularly unusual, her doctors diagnosed it as a rosacea, a common skin condition, with treatments lasting for about a year. It wasn’t until the woman suffered a stroke, and had CT scans done of her brain, that the brain tumor was diagnosed—or more accurately, misdiagnosed. The woman’s brain surgery and subsequent biopsy finally revealed the true nature of her condition. Importantly, the scientists said we should not give up on neti pots, as the devices present a good way of getting nasal relief. As long as we wash the containers properly and use either boiled or saline water we should be okay. 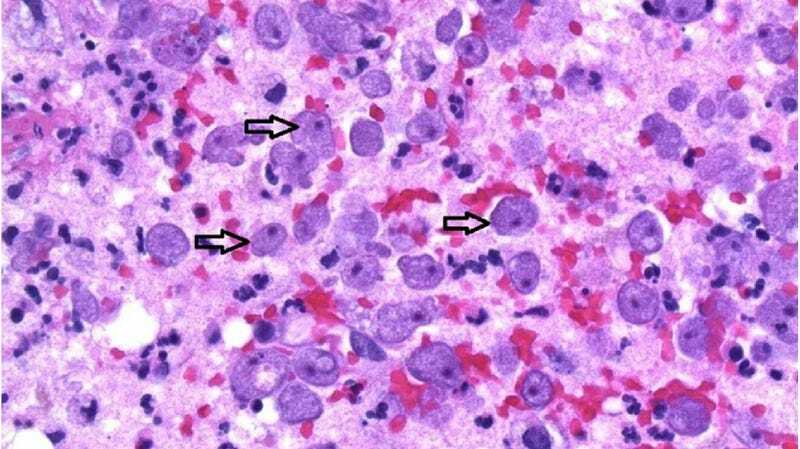 Can we stop the spread of brain-eating amoebas that killed two children in Minnesota?